Sanam Re is journey of love that blossoms between Aakash and Shruti during their teen days but they grow miles apart with time and responsibilities. 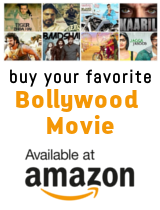 Aakash and Shruti, who are school friends, fall in love during their teen days but soon the former leaves to Mumbai to complete his studies but without informing Shruti. In order to save his job, Aakash sets out to Canada to meet a certain Mrs. Pablo at a yoga camp where people have to live under pseudonyms. While Aakash sets out in search of Mrs. Pablo for the benefit of his job, he meets Anjali who resembles his childhood love Shruti. Though she denies that she is Shruti, Aakash isn't convinced. During the camp, Anjali aka Shruti spends time with Aakash but leaves after the camp disperses along with other residents. Aakash who is by now convinced about Shruti decides to set out in search of her only to realize that neither him nor the camp organizers have any clue of her whereabouts. Mrs. Pablo who is now fallen in love with Aakash decides to help him in tracing the one woman he truly loves - Shruti.